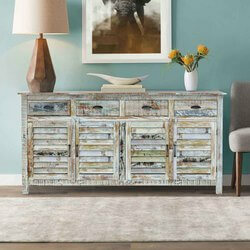 Brighten your home with accent furniture in light shades and colors. 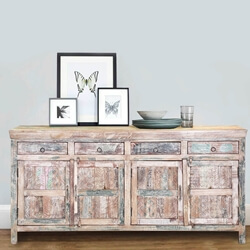 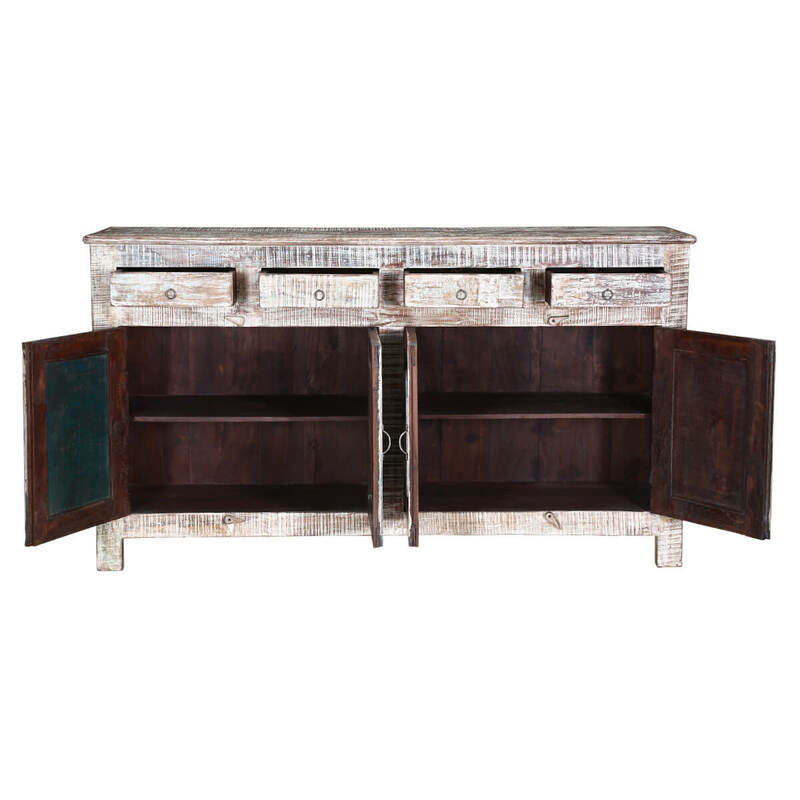 Our Winter White Rustic Reclaimed Wood 4 Drawer Large Sideboard Cabinet stands off the floor on extended sides so it’s easy to clean underneath. The counter top extends slightly beyond the frame providing a large work area. 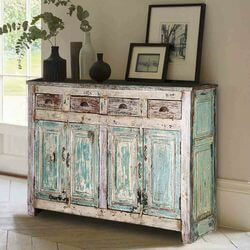 There’s lots of storage with two double door 2-shelf extra-large cupboard sections and four top drawers. 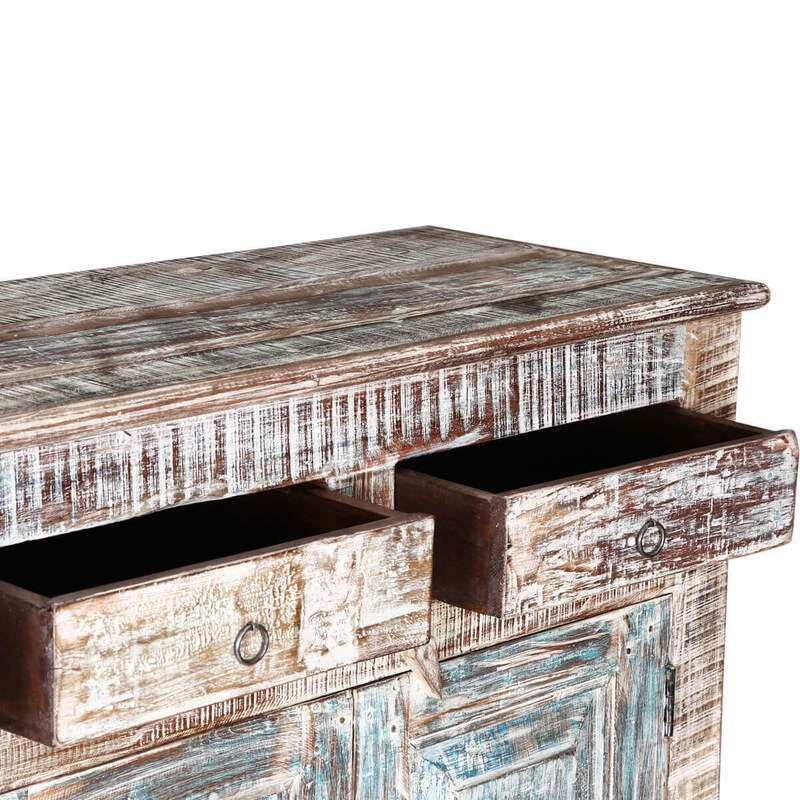 The white stain has been worn away with time so hints of other colors peek out from underneath. 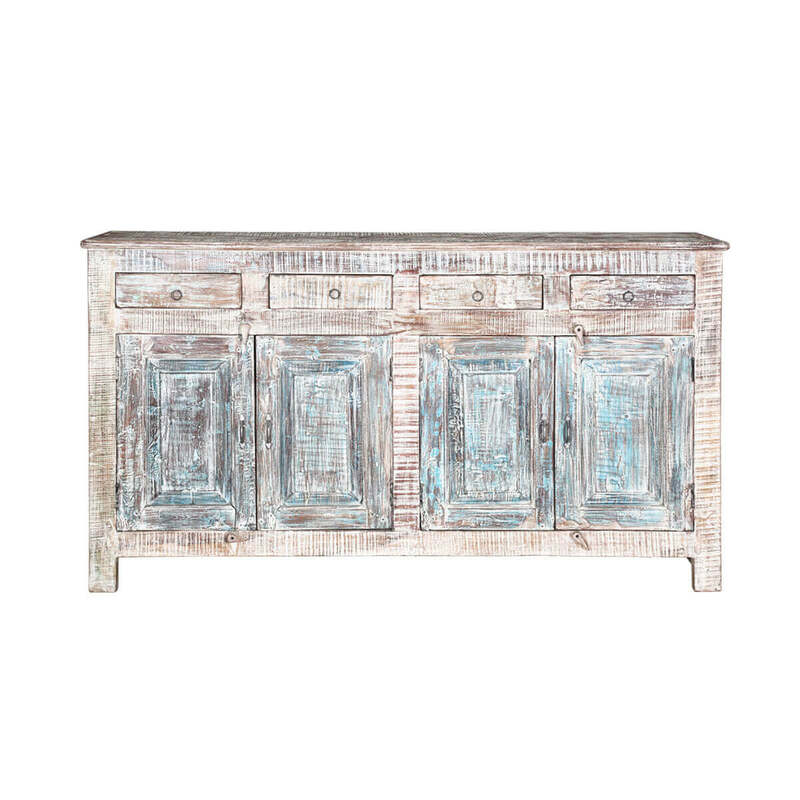 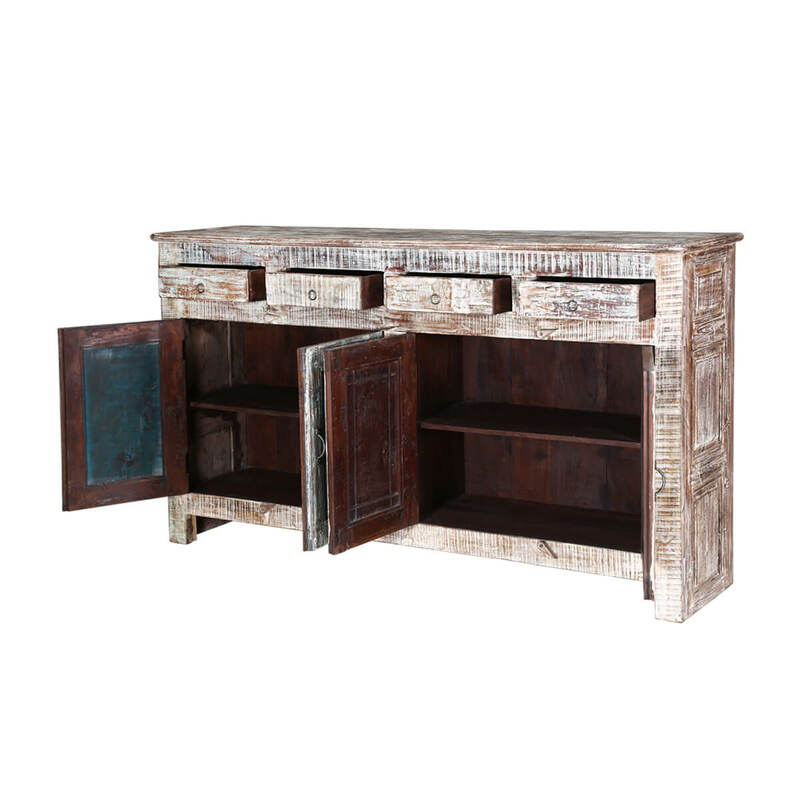 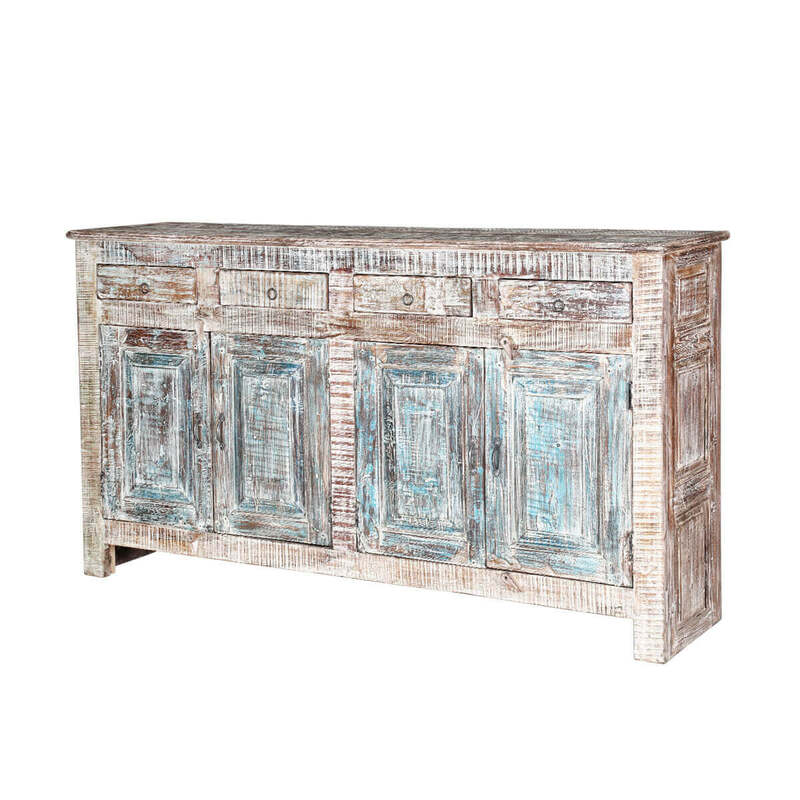 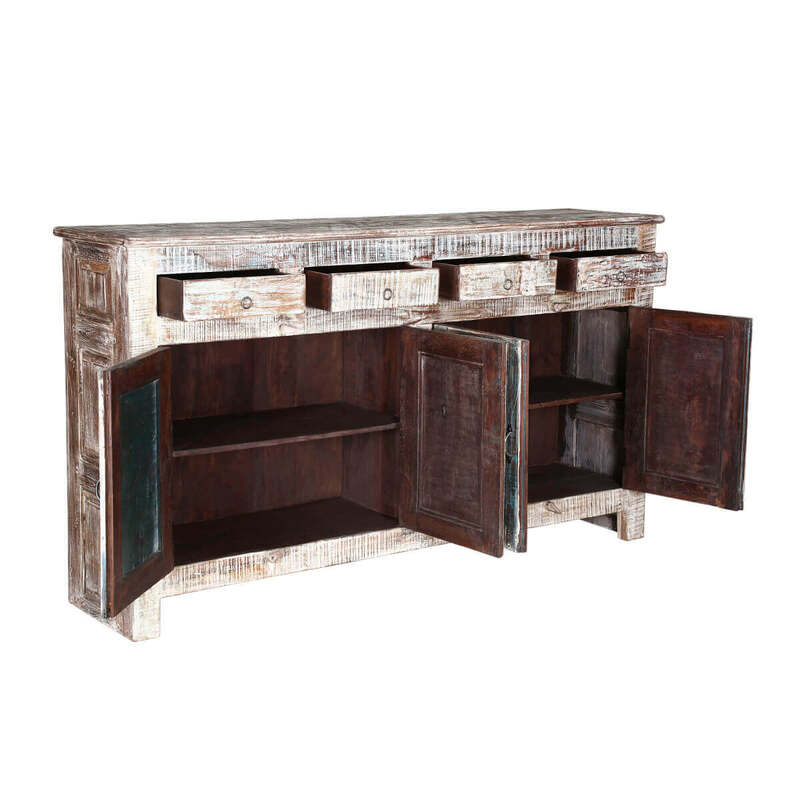 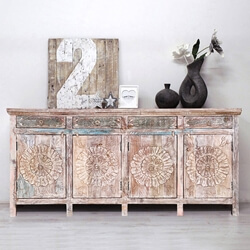 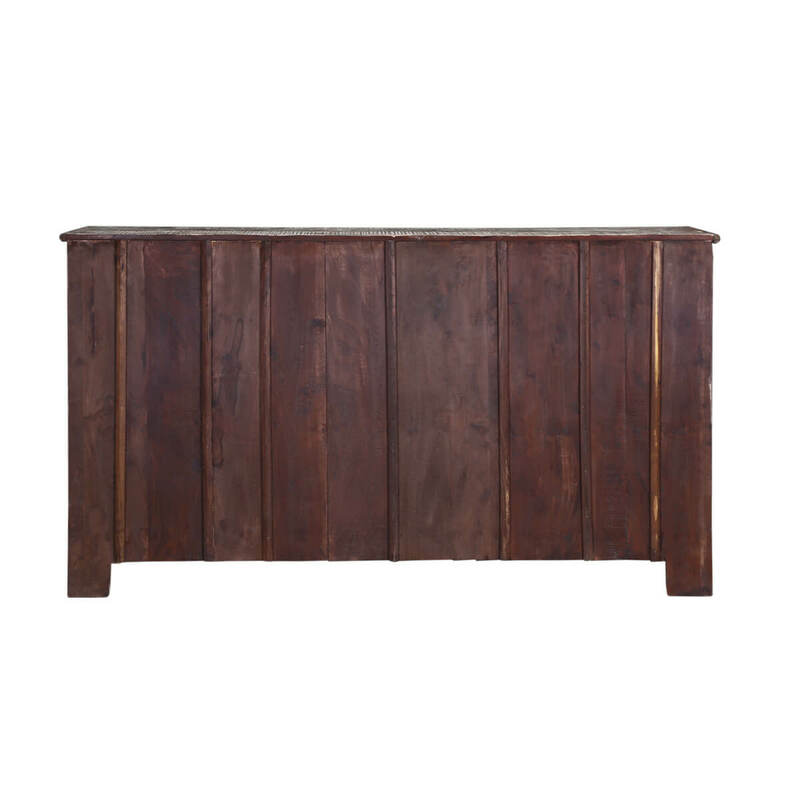 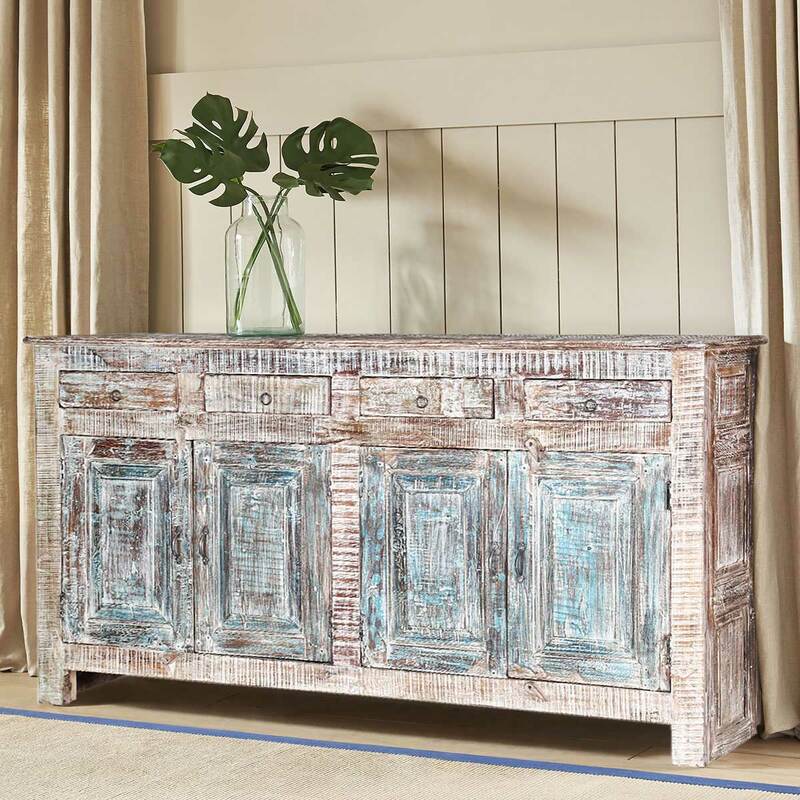 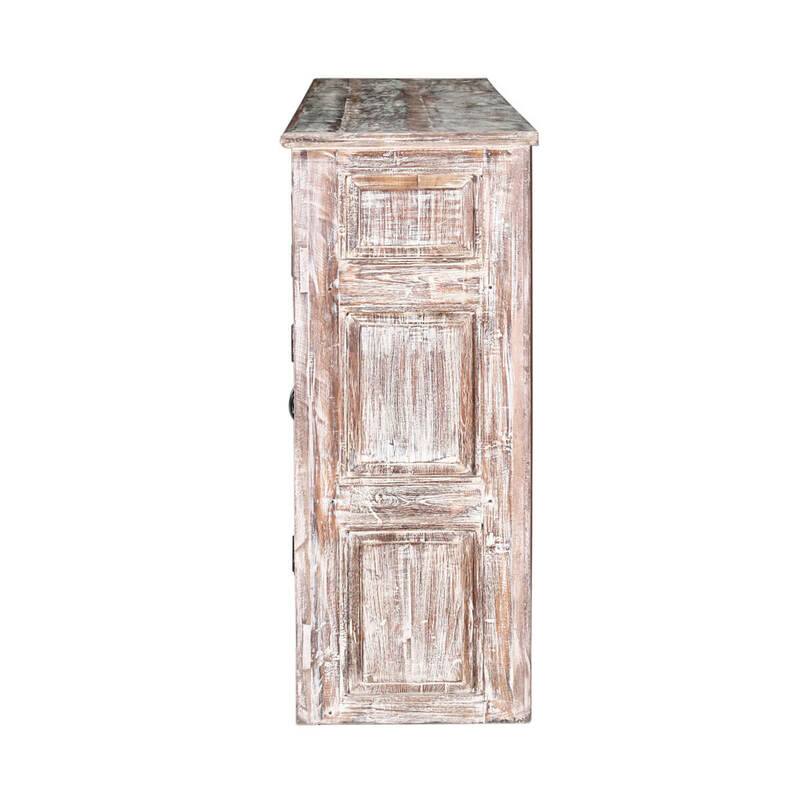 This rustic freestanding cabinet is built with reclaimed wood. 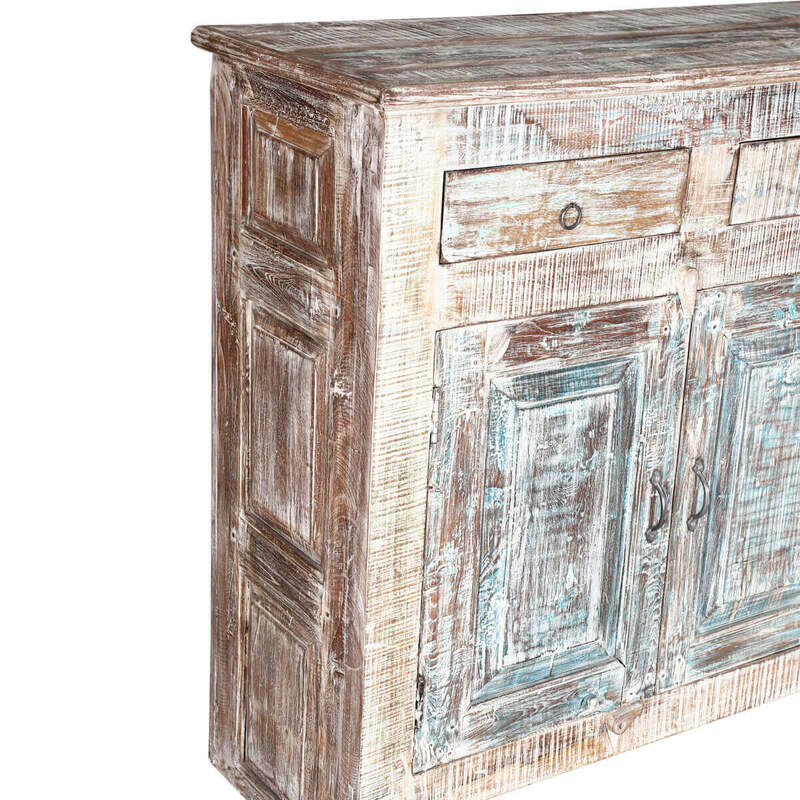 Old wood is seasoned over time; we honor this process and refrain from adding new paints and stains.